Getting your business tender ready? 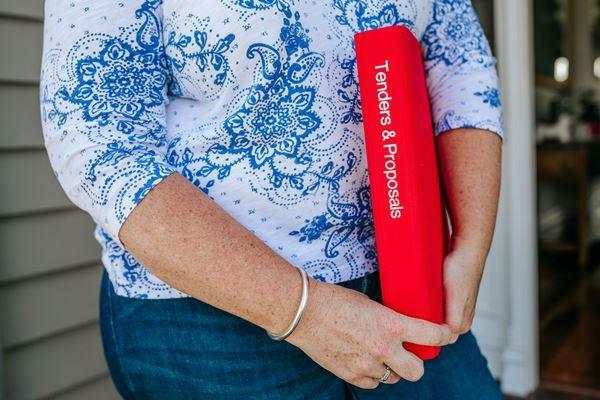 We’ve done the numbers and I complete over 100 Tender Proposals each year. If you haven’t already and you have the capacity, it really is time to experiment with how Tendering can change the playing field for your business in 2019 and beyond. But firstly, you need to be ready. Writing a successful Tender is an art. It’s not something we’d advise you to do over the course of a couple of days or hours. While most processes are likely to include a specification document complete with a response template and sections for you to fill in, like anything in business, it’s best to outsource the actual writing of your Tender if you have no experience with this type of writing. Not only is this likely to enhance your chances of winning the Tender, it leaves you to focus your attention on your business. Am I ready to tender? It’s a question you might be asking your team as 2019 continues to fly by. I’ve been involved in the tender business for almost two decades now and I’ve seen how tenders can transform a business that is doing well, into a business that exceeds all expectations. So how do you know if you’re tender ready? The first key question to ask is whether you’re in the best position to grow your business. And that answer isn’t as obvious as you think – tenders are serious business and they take a lot of time and effort. If you end up winning a tender your company isn’t ready for, the story may not have a happy ending. It’s imperative that you’re prepared not only for the tender submission but for success, which is always our ultimate aim. Do you have the following resources handy? These are all pretty stock standard items but if you don’t have these ready to go, you may want to hold your horses on engaging in the tender process for now. If you find yourself in this boat, be mindful of what you need and set a goal for achieving this so that you consistently track your progress. If you know your business is tender ready, here’s what you need to be successful with your tender bid. We’re living in an age where everyone has a voice and anyone can pretty much say anything. Sure, you know your business is capable of taking on the tender but you need to present evidence to back-up your submission. Reach out to past clients to ask for testimonials and present any data or facts that demonstrate your ability to meet and even exceed expectations. Best of all, as long as the information isn’t sensitive in nature, you’ll also be able to repurpose this content for other marketing/PR needs such as media releases, blog writing and so on. This may not exactly be the most interesting part of applying for a tender but you will need things like a health and safety accreditation, quality assurance accreditations and so on. If you’re not sure what you need, take a step back and start doing your research or reach out to a professional who can help to guide you through the process. Many of my clients have said it was invaluable to work with me for their first tender process as it can be a really complex space if you’re new to it. Once you’ve been through the process once, you may feel as though your company is ready to tackle your next submission alone. You’re going to be competing against numerous businesses in any tender process. You should have a solid grasp on why your business is the right candidate for the tender at-hand and what makes your offer better than your competitors. Once you understand this, then you need to get really great at communicating it to people who more than likely, have no idea about your business. A question that really gets to the core of this is: what sits at the heart of your business? Don’t try to over-complicate the answer. Is your business at the cutting edge of your industry? How are you doing things differently and in a superior way to everyone else? You may have to do some research into what your competitors are doing and than compare that to your own offering. When you’re living and breathing your business day-in, day-out, this isn’t always easy. If you aren’t working with a professional, reach out to your customers and people who aren’t as involved in your business. Tender writing is a very technical process and it’s difficult to understand what challenges you may face until you’re putting together your first submission. Pay attention to the finer details – spelling/grammar errors, follow the tender instructions, use the correct templates supplied and so on. Even if you don’t win your first tender submission, you’re likely to find that it is a really worthwhile learning process for your company to engage in. If you’d like to connect with a tender writing professional with almost two decades’ worth of experience, let’s organise a time to chat. Don’t forget to join us on Facebook and LinkedIn if you haven’t already. Unique Selling Propositions and Win Themes – What are they and how do I develop them? Download our secrets to writing a winning tender!